In 1945, in a now-famous piece of World War II archival footage, four-year-old Michael Bornstein was filmed by Soviet soldiers as he was carried out of Auschwitz in his grandmother’s arms. Survivors Club tells the unforgettable story of how a father’s courageous wit, a mother’s fierce love, and one perfectly timed illness saved his life, and how others in his family from Zarki, Poland, dodged death at the hands of the Nazis time and again with incredible deftness. Working from his own recollections as well as extensive interviews with relatives and survivors who knew the family, Michael relates his inspirational Holocaust survival story with the help of his daughter, Debbie Bornstein Holinstat. 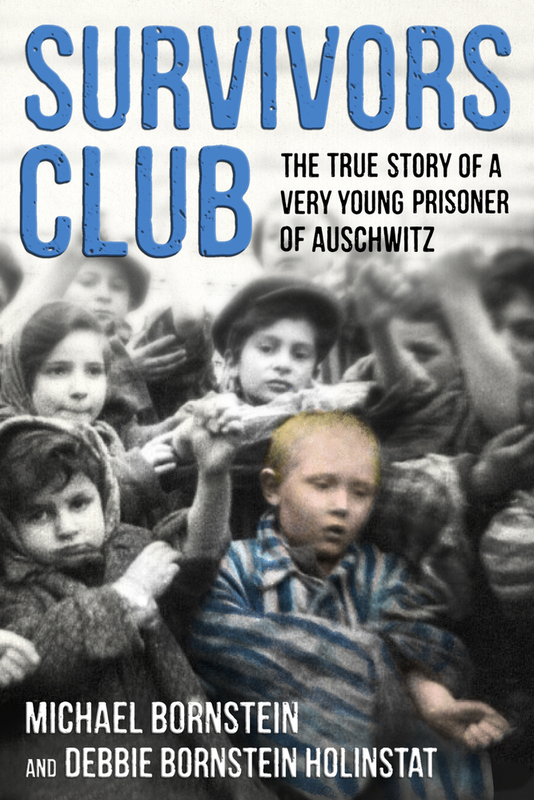 Shocking, heartbreaking, and ultimately uplifting, this narrative nonfiction offers an indelible depiction of what happened to one Polish village in the wake of the WWII German invasion in 1939. This thoroughly-researched and documented middle grade nonfiction book can be worked into multiple aspects of the common core curriculum. Michael Bornstein survived for seven months inside Auschwitz, where the average lifespan of a child was just two weeks. Six years after his liberation, he immigrated to the United States. Michael graduated from Fordham University, earned his Ph.D. from the University of Iowa, and worked in pharmaceutical research and development for more than forty years. Now retired, Michael lives with his wife in New York City and speaks frequently to schools and other groups about his experiences in the Holocaust. He wrote Survivors Club alongside his third of four children, Debbie. Debbie Bornstein Holinstat is Michael’s third of four children. A producer for NBC and MSNBC News, she lives in North Caldwell, New Jersey. She also visits schools with her father, and has been working with him for two years, helping him research and write his memoir, although she has grown up hearing many of these stories her entire life.